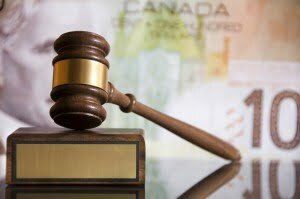 If you own assets, you should take steps to protect those assets should you face any type of litigation. Although litigation is usually filed against those with substantial assets, even the average homeowner could face financial difficulty should someone fall on their property or the owner of a vehicle if someone is injured in an accident that is deemed their fault. Those who have significant assets often seek the advice of an asset protection lawyer for strategies related to how to protect those assets, however, even if you only own a house and a vehicle, you may need to know some of these asset protection strategies to protect yourself should the unthinkable happen. No one ever thinks they will be part of a lawsuit and, for the majority of people, this is true. However, because you cannot predict things that could go wrong, such as car accidents, it is critical to look at your assets as something you could lose should something go wrong. Many states have what is known as “fraudulent transfer laws” and violating these laws could make the situation even worse. The fact is that a claim arises far sooner than when you are served lawsuit documents, so you want to be sure you are protected before it ever gets to that point. If you speak to an asset protection attorney, they will advise you to check the limits on your liability insurance. This is your first line of defense against litigation. Liability insurance is often inexpensive and well worth the peace of mind it provides you when your assets could be at risk. You should discuss the insurance limits for both your home and your automobile. If you are expecting an inheritance, consider an umbrella policy for the amount of that inheritance to protect it from any litigation that may arise. If you own a business, be sure that the business is also covered under a liability insurance policy. One way to protect your assets, according to an asset protection lawyer, is to place those assets in a trust. There are many laws in place to protect assets placed in trust as long as that trust is drafted properly and funded. This means discussing your assets and estate planning thoroughly with an attorney or financial advisor who can provide you with the proper guidance in setting up your trust. Keep personal and business expenses separate. All assets claimed for the business must be used solely by the business. Be sure you have the appropriate levels of insurance on your business, especially to cover mistakes that could be made that could lead to litigation. Elect corporate status for an LLC in order to place additional protections for assets. It will mean additional reporting but it will also provide an extra layer of asset protection. Put revenues toward specific assets in your business. Instead of keeping profits, invest them in other forms of protected assets. In some states, you can place a homestead exemption on your primary residence up to a certain amount. You can also place profits in qualified retirement plans, college savings plans and cash value life insurance policies as well to protect them from seizure. One of the best ways, according to an asset protection lawyer, to protect assets is to invest in retirement accounts. Federal law provides unlimited protection to ERISA-qualified retirement plans as well as up to $1 million in an Individual Retirement Account (IRA) in the case of bankruptcy, and this protection could extend to litigation as well. Consider moving assets into an account that you cannot use until you reach 59½ but remember that you will be restricted to a set annual contribution limit. Some states offer generous homestead exemptions which may be an excellent way to protect assets. In order to take advantage of this asset protection, simply contribute extra principal to mortgage payments in order to create more equity in your home. However, it is critical to check your state’s laws related to homestead exemptions, or discuss them with an asset protection attorney, to be sure this will protect your home as some states only offer minimal homestead exemptions. One of the reasons it is best to discuss your strategy with an asset protection lawyer is that they are trained to provide you with advice that allows you to keep control so that assets do not disappear but not so much control that it appears that the asset is not protected. You want to be able to control the asset and protect it at the same time, which is why you need sound advice on how to keep the things you have accumulated over the years safe. Asset protection is complicated, but it is critical to keeping things like your home, vehicle, and other items safe from creditors or those who oppose you in a lawsuit. Contrary to what many believe, you do not need to be wealthy to consider protecting your assets. In an increasingly litigious society, keeping the things you have worked for yours is growing more and more difficult. The best way to protect assets is to do so before you are facing a lawsuit, bankruptcy or other legal matter that may be a threat to the things you own. If you are looking for ways to keep your assets safe, contact an asset protection attorney at the Sutton Law Center at 775-824-0300.